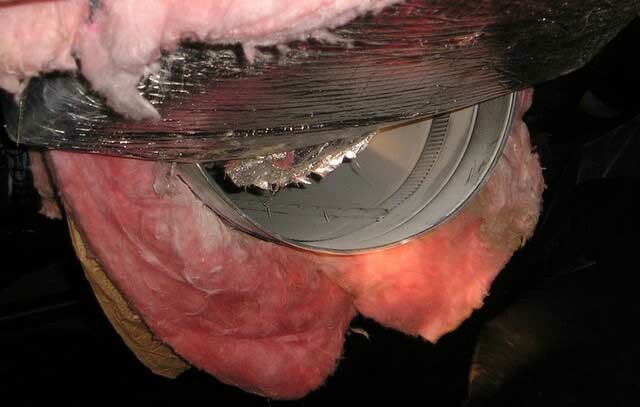 This is the main heating duct for a brand new home. This house had already passed all municipal inspections. This was blowing precious warm air into the crawlspace. 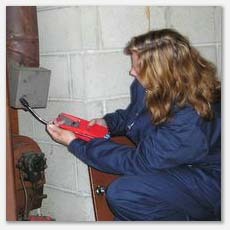 City inspectors almost never get into attics, crawl spaces or onto a roof. As a builder I was shocked when I realized that they rarely spend more then 10 minutes on site, no wonder they miss so many critical details! If you bought a new home without an inspection, we recommend you have it checked by a professional ASHI certified inspector. This buyer was glad we caught it, his gas bill would have been astronomical trying to heat the home by warming the crawlspace.